Bread pudding is such a wholesome name; the pudding industry would do well to spread some cash around Madison Avenue and get this Plain Jane dessert a snappier handle. How about Rich Man’s French Toast? Tell me that doesn’t have moxie. 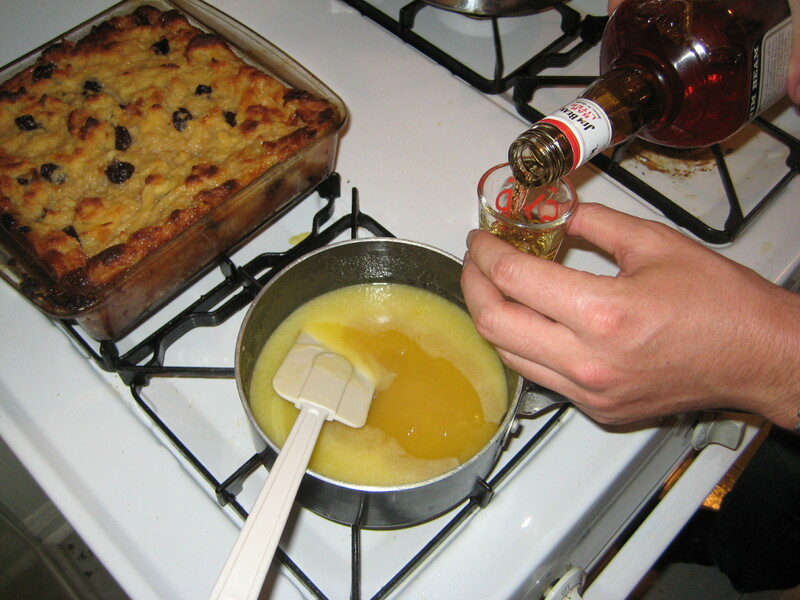 Well folks, the fat-cats at Big Pudding may not be opening up their wallets anytime soon to support my rebranding efforts, but at least good people of New Orleans have already done their part by livening up the homely pudding building blocks of egg, milk, sugar and soggy bread with a much needed shot of whiskey. In Italian coffee drinking circles such an addition is known as a “correction,” a sentiment I could not agree with more. Now since this is a Cajun recipe, let us take a moment up front to get the obligatory catchphrases out of the way: Laissez le bon temps roulez! Mon cher! Bam! 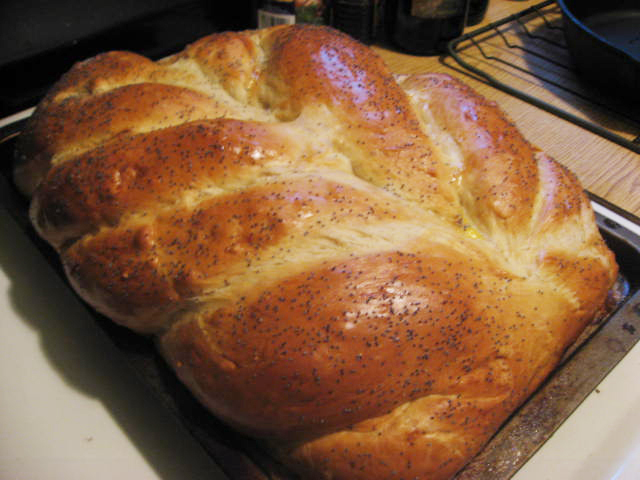 Last Thursday, while I was fasting for Yom Kippur, I had the genius idea that I would distract myself from my hunger by spending the day baking a challah. Hm. Obviously, there were some faults in my thought process, but the idea was that it’s a fairly focused task, and one without temptation, since raw bread dough is really not that appetizing. Little did I know that this particular bread dough, infused with a teaspoon of cinnamon, would be utterly tempting, releasing the scent of its sweet goodness long before I put it in the oven. So the distraction from hunger aspect was a failure.